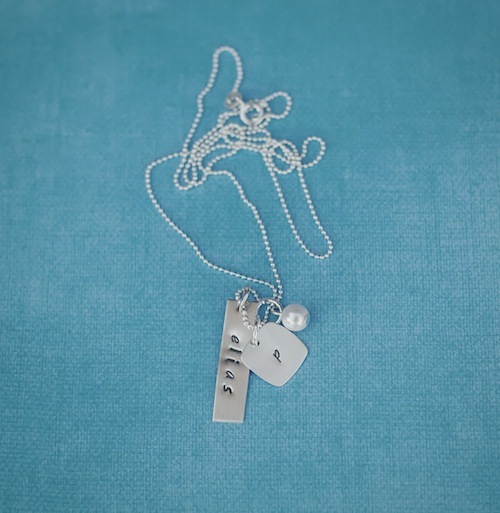 This necklace comes with a 24g Sterling Silver 1″ x 1/4″ Rectangle charm and a 24g Sterling Silver 1/2″ rounded square charm. 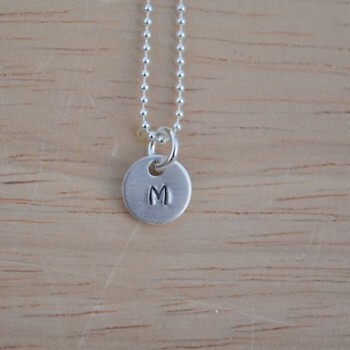 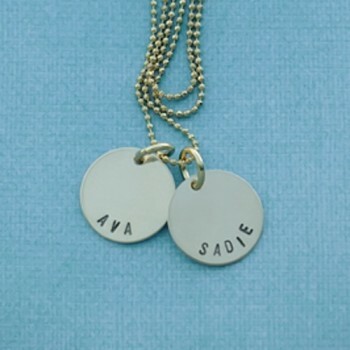 The Rectangle charm holds up to 10 characters and the rounded square charm holds up to 6 characters. 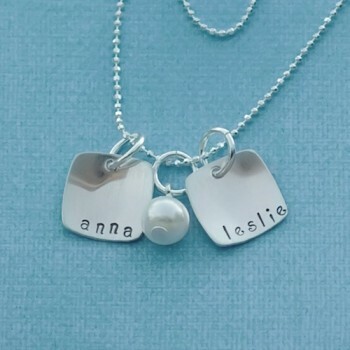 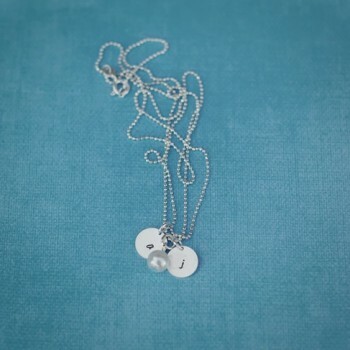 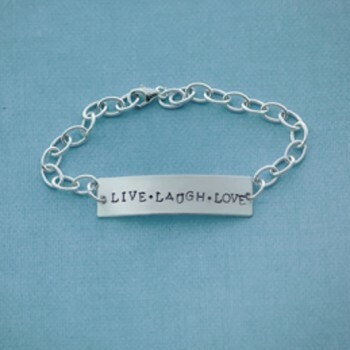 It is hung on a Sterling Silver ball chain and your choice of birthstone/pearl.